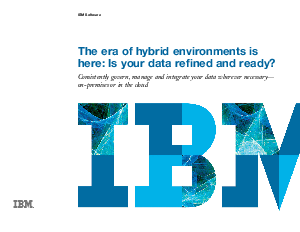 Offers > IBM > The era of hybrid environments is here: Is your data refined and ready? This e-book describes how a data refinery can make trusted data available quickly and easily to people and systems across your organization. It includes simple steps you can take to start exploring - and implementing - this strategy for handling the challenges of hybrid data environments.